One Wall Street analyst, Adam Jonas of Morgan Stanley, called the abrupt shift in attitude a possible “watershed” moment for the industry, which largely had brushed aside bubbling concerns about plateauing U.S. sales and rising discounts. 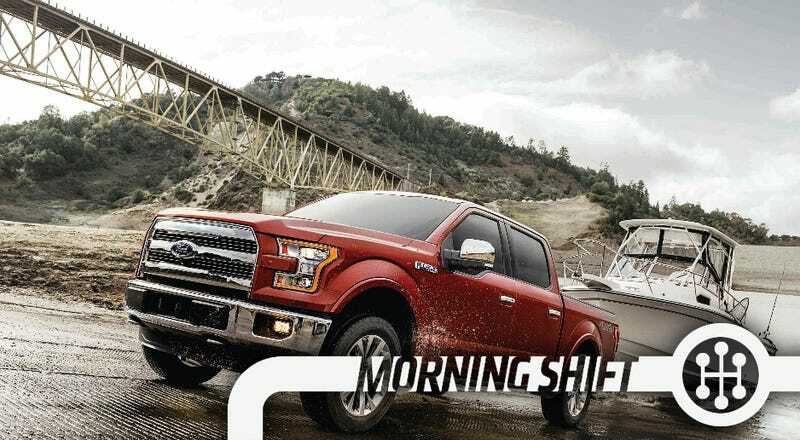 Many of the looming threats that Ford CEO Mark Fields laid out are issues other automakers also have to confront, but Ford is the first to acknowledge them so starkly. Part of the problem is that incentive spending has surged as of late, which helps move vehicles in this increasingly competitive and possibly declining sales environment but is far less profitable. Are we doomed? Almost certainly, yes. Also on Automotive News: a good piece about how General Motors has been successful by—get this!—being conservative and making good, swift business decisions. What a novelty! For GM watchers, there seem to be two overarching concerns about the company. One is long term: whether it can adapt and lead as autonomous driving and new personal-mobility services threaten the future of the car-ownership model. It’ll take years before we have an answer to that. But the other concern is rooted in GM’s past: whether the company might return to its fat and sassy ways. Will it start making too many vehicles and overload dealership lots? Will it chase market share or segments, overextend itself into too many regions with too many brands? Most importantly, will it be caught unprepared again when the inevitable market downturn hits? It seems to be working well so far for the General. 3rd Gear: Does A Mid-Engined Corvette Even Make Sense? Speaking of GM, today The Detroit Free Press is mulling the value of a mid-engined Corvette, a car that if it exists—and the automaker is known to be testing some right now—will almost certainly cost at least $80,000, considerably more than the current relatively affordable Corvette. So why do it? A couple of reasons come to mind. The current C7 Corvette Stingray pushes the limits of performance you can get from a front engine/rear drive car, IHS Automotive senior analyst Stephanie Brinley says. Mid-engine cars have their engine behind the passenger compartment and in front of the rear axle. That layout distributes the weight in a way that’s ideal for handling and acceleration. “To build a faster, better-handling Corvette, you have to look at a mid-engine layout,” Brinley said. “The Ford GT may have given Chevrolet permission to build a car GM has always stopped short of.” The Ford GT, which won its class at the famous Le Mans endurance race this year and goes on sale shortly, has a mid-engine chassis and a price expected around $400,000. The GT ladles on technology you can’t afford at the price of a current Corvette, like strong, light carbon fiber body panels and a twin-turbo V6. All of that is obvious, but the Corvette is a strong-seller for GM, and unlike a lot of sports car programs it’s actually profitable. And proven. Does the automaker really need to go that route? A German investigating committee earlier this year shortlisted 30 car models which showed suspiciously high levels of carbon dioxide (CO2) emissions for further testing after Volkswagen (VOWG_p.DE) admitted it cheated U.S. emissions tests by installing software capable of deceiving regulators. Among the carmakers under scrutiny was Opel which had admitted that its Zafira model includes engine software that switches off exhaust treatment systems under certain circumstances. We can all breathe a sigh of relief now. Apple invested $1 billion into Chinese ride-sharing service Didi Chuxing, and now the latter is buying out competitor Uber China—along with another $1 billion investment promise into Uber Global, reports Apple Insider. The ramifications of this deal could be incredibly interesting. When Apple announced its investment in Didi, Apple Chief Executive Tim Cook claimed that it was done “for a number of strategic reasons,” and was “a chance to learn more about certain segments of the China market.” Cook added later, during a tour of the Didi headquarters, that Didi had an “environmental” objective, to cut pollution and traffic in China. Neutral: Does A Mid-Engine Corvette Make Sense From A Business Standpoint? From a performance perspective, sure. But can the financial case be made?